For nearly two years, Mueller hasn’t uttered a single word about the investigation in public, creating a cloak of secrecy that turned him into a legend for the left and a villain for the right. And Barr, who is barely two months on the job as Trump’s attorney general, has already presented his imprint of the report, offering top-level conclusions in a public letter last month. Here’s a breakdown of what’s at stake for both men when the report drops on Thursday. Mueller: Did he get the job done? After an exhaustive investigation, Mueller reached a conclusion on the question of Russian collusion. He didn’t charge any Trump aides with conspiracy or collusion-related crimes. But Mueller booted a punt of historic proportions on the other half of his investigation, which was whether Trump obstructed justice. Mueller did not offer a ruling one way or the other. So, Barr picked up the mantle and announced that there was not a case to be made against Trump. That might be the biggest mystery the report could resolve. The pressure will be on for Mueller to explain why this was the appropriate course of action. Didn’t he know about Barr’s longstanding belief that some parts of the obstruction inquiry was meritless? Wasn’t Mueller’s job to make these difficult decisions so political appointees wouldn’t be involved? We’ll see. Many of Trump’s opponents hoped the investigation would bring down his presidency. They’re surely wondering why Mueller wasn’t more aggressive. He didn’t demand a sit-down interview with Trump, and it looks like he didn’t subpoena the IRS or Deutsche Bank for Trump’s financial records. On the other hand, Trump says there never should have been any investigation. Mueller could possibly rebut this by weaving the narrative of how a dozen-plus Trump campaign aides had contacts with Russians and took dramatic steps to cover-up those interactions. Mueller doesn’t have any proof of criminal collusion, but this mosaic could still tell a very damning story. This saga transformed Mueller’s public image. Before, he was universally respected, a true American hero who kept the FBI afloat after the 9/11 attacks. Now he’s Trump’s favorite target and some Republicans say he’s guilty of treason. If House Democrats call Mueller to testify, he’ll face the wrath of those Republicans. And he can finally give his side of the story — if he wants to. Barr: Is he still an honest broker? The attorney general has absorbed plenty of punches, and taken some shots of his own, in the three weeks since he publicly announced the “principal conclusions” of Mueller’s investigation. The top Democrat in Washington, House Speaker Nancy Pelosi, already said she doesn’t trust Barr and that Barr went “off the rails” with some of his recent comments about the investigation. While Barr doesn’t have to worry about what Pelosi thinks — he’s safe in his Senate-confirmed position atop the Justice Department — her skepticism reflects where many Democrats are right now. Barr faces an uphill battle if he wants to earn back the trust Pelosi’s half of the country. 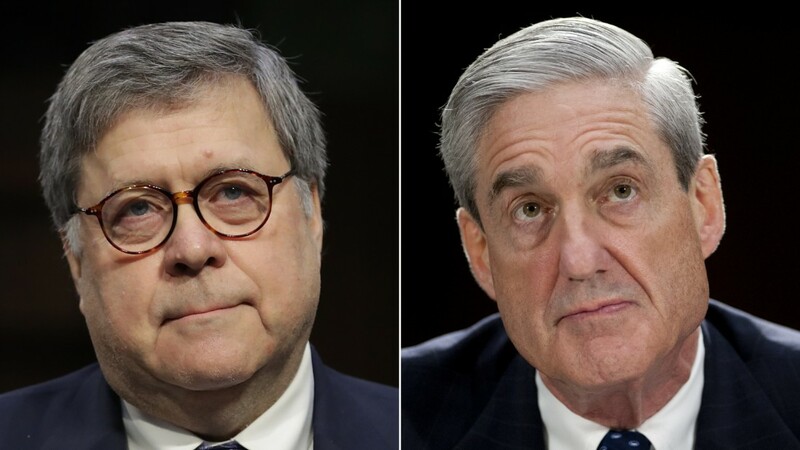 With Mueller’s report in hand, the American people can assess whether Barr fairly characterized the big-picture conclusions about collusion and how he approached the obstruction question. For Barr’s sake, he better hope his 4-page letter holds up and that there isn’t anything tucked in a footnote or buried in the nearly 400-page report that would undermine his letter to lawmakers. Barr has said the report “sets out evidence on both sides” of the obstruction question. But it did not offer a conclusion, so Barr did, and said there was no obstruction case. Americans will soon be able to tally up the evidence and make their own determination. Whether most reasonable people agree with Barr’s decision, or believe he overstepped, will be a critical question to watch. There’s also the battle over redactions. Most pundits have said they’d be stunned if Barr went wild here and blacked out a substantial chunk of the report with questionable justification. But if Barr sticks to his commitment to “provide as much transparency as I can,” as he promised during his confirmation hearing, he could earn the respect of stakeholders from both parties. In many ways, Barr’s reputation is on the line. He returned to the spotlight from relative obscurity to serve a president who isn’t afraid to publicly demolish his own attorney general. Barr led the Justice Department in the early 1990s and already has a long and respected record. But his legacy will be defined by how he handles this report and the fallout in the coming weeks. CNN’s Laura Jarrett contributed to this article. « Bernie Sanders triggers Trump as he seeks to win over his voters	» The Point: Is Donald Trump turning on Fox News?